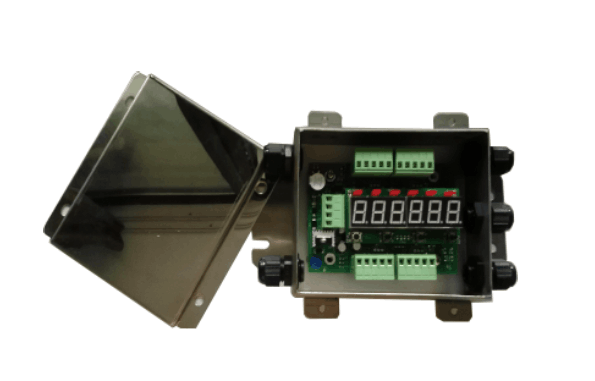 The digital junction box is based on resistance strain sensor as signal source, It is composed of 24bits Σ-Δ type A/D conversion technology and The 8 bit single chip microcomputer etc.large-scale integrated circuit. ¨ 4~20mA/RS485/RS232 output,Can set the corresponding weight value of 4mA and 20mA. 12 load cells of 750 ohms.